From 1890, he worked for many Norwegian magazines, including Tyrihans, Pluk, Paletten, Fluesoppen, Sfinx and Trangviksposten (1899-1901). In 1900 he studied at the Académie Colarossi in Paris. 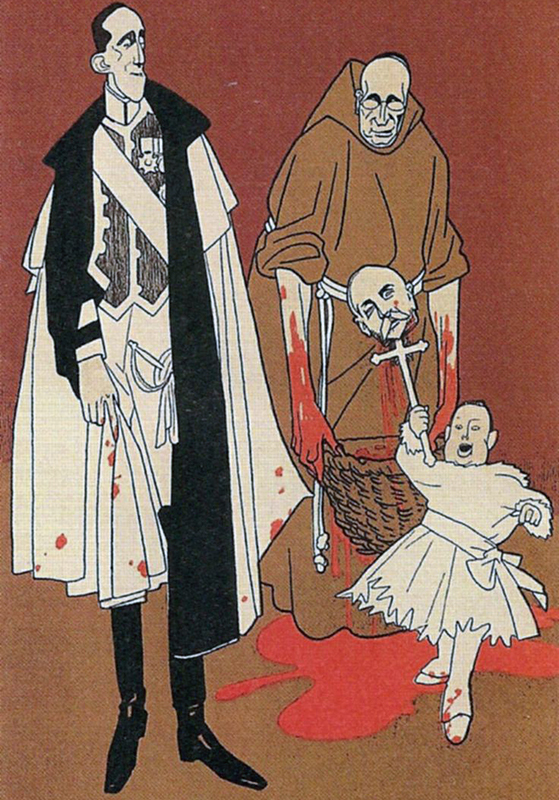 In 1902 he moved to Germany to work for the satirical magazine Simplicissimus in Munich after editor Albert Langen had been in contact with author Bjørnstjerne Bjørnson looking for Norwegian talent. 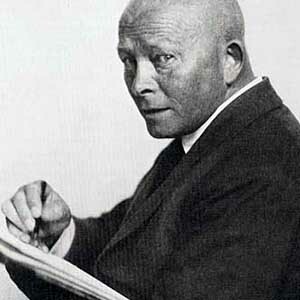 With publicity increasing Gulbransson’s fame, and even though he lived in Germany between 1923 and 1927, he drew for Tidens tegn in Oslo. In 1929 he became Professor at the art academy in Munich. In 1933 the art academy in Berlin arranged a special exhibition to celebrate Gulbransson’s 60th birthday, which was shut down by the Nazi party after only two days. 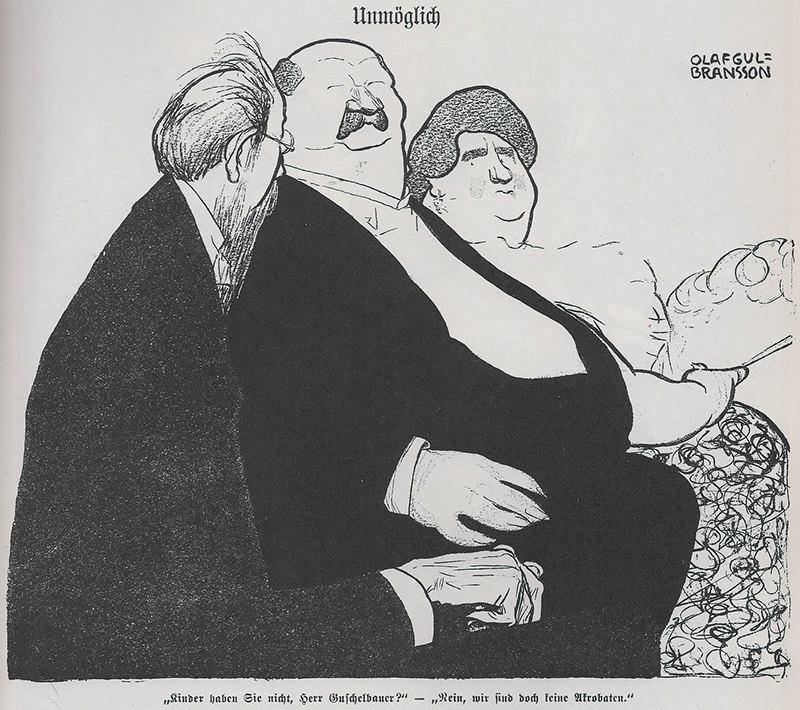 Simplicissimus editors Franz Schoenberner and Thomas Theodor Heine have claimed that Gulbransson actively cooperated with the Nazis from 1933 on, and this co-operation was sharply criticized by the writer Klaus Mann. During World War II, after his own home country was occupied by the Germans, he produced caricatures against the Allies, in particular against Winston Churchill. In 1941 he was made an honorary member of the Society of Berlin Artists and in 1942 of the Academy of Fine Arts Vienna. On the occasion of his 70th birthday in 1943 he was awarded the Goethe Medal for Art and Science and was made Emeritus Professor of the Academy of Fine Arts, Munich. Gulbransson illustrated many books, including the children’s books Det var engang (Once upon a time), which was published simultaneously in Norway and Germany in 1934, and Und so weiter (And so on) which was published in Germany in 1954.